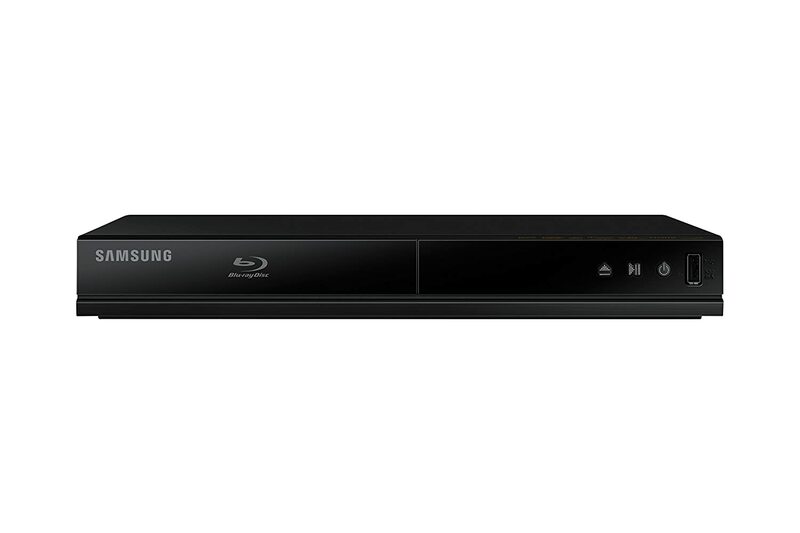 4 Who produces the best Blu-ray dvd players? Prepare for the next generation of high definition with our best Blu-Ray player reviews 2016. 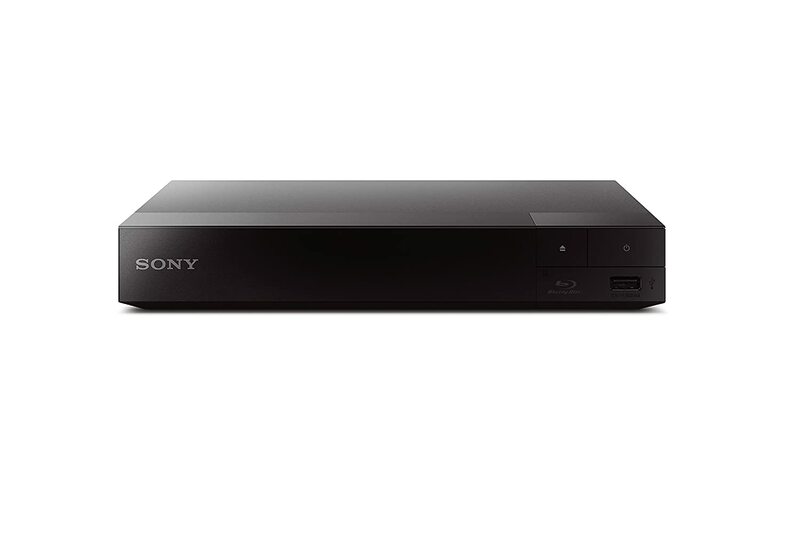 The Sony BDP-S7200 shines with simplicity in design and ultra high definition qualities, making it our best buy Blu-Ray player. 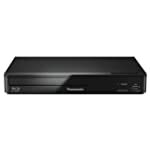 While home entertainment technology progresses, Blu-ray DVD players are becoming more and more popular on the market. As the successor to the DVD, Blu-ray-discs have significantly more data rate and memory space, enabling you to watch DVDs, as well as especially high resolution movies in 1080p (Blu-ray-Discs). All Blu-ray players are able to play DVDs as well as audio CDs next to the Blu-ray-Discs – and based on Blu-ray player reviews 2016, most of them don’t even have any problem with self-burned CDs, thus gradually phasing out the need for DVD players altogether. What makes the cheap Blu-ray players differ from 4K upscaling Blu-ray players though? What features are there to look out for when planning to buy the best Blu-ray player, or which brands are the most popular? You’ve looked at the different players and found out there are quite a lot of features being offered, but which features are absolute must-haves? Well, knowing what you’re looking for is key, and we’ve found the top 10 features each buyer should consider before beginning to shop for their very own home cinema system. Some Blu-ray systems are capable of playing 3D movies. However, in order for this to work, the player has to be combined with a 3D TV as well as 3D glasses. So before considering this feature, keep in mind that there are other costs involved. Blu-ray players can have the capability of connecting through the Internet to extra online features. Things like outtakes, video games can be viewed online through the player. Some specific movies also come with bonus features that are accessible through BD-Live. In this case, the player will display the bonus content in the movie’s menu screen. In some cases, extra memory either through a USB drive or a memory card is required for this feature. This is a neat feature that saves the hassle of having to get up to switch out the discs whenever one is done playing. Standard and small Blu-ray players only hold one disc at a time, but some come with carousels that can hold many discs at once. Usually the maximum capacity is five discs. The best Blu-ray players also have an internal hard drive that can store movies in digital format as well. Since Blu-ray players are steadily replacing DVD players, it is important that they are capable of playing old DVDs so that the movies do not have to be discarded. 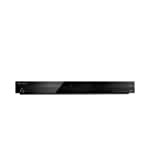 Blu-ray systems can also be capable of playing audio, video, and MP3 CDs. They may also be able to read CDs with pictures on them. This feature allows Blu-ray players to access photos, music, and movies that are stored on other devices such as computers, smart phones, or tablets. A home network can be set up to share data between all of the devices. There are several different ways in which Blu-ray players may be able to adjust the picture. Nearly all of them allow the owner to switch back and forth from a screen aspect ratio of 4:3 to 16:9 depending on the content being viewed, which is often adressed especially in Blu-ray player reviews 2016. This is a nice feature to have when playing DVDs that are not wide-screen format. The best Blu-ray players may also have zoom features, black-level adjustment, and the ability to view a scene from different angles if the disc includes that feature. Brightness and sharpness controls are sometimes available as well, but it is best to adjust those through the TV instead of the Blu-ray player. 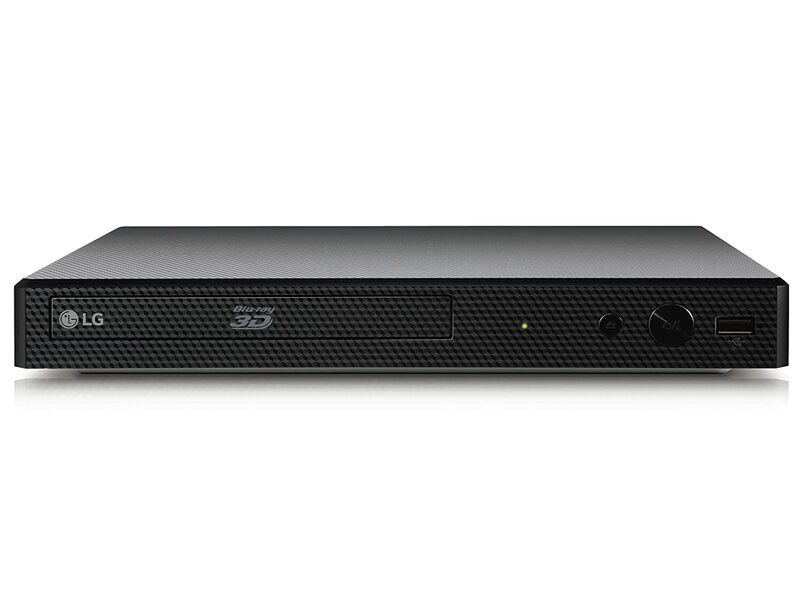 Blu-ray players come with multichannel surround sound. However, some of them also support Digital Theater surround sound Systems which is a high-tech format. Unfortunately, in order to really enjoy the surround sound that Blu-ray players and discs come with, multiple external speakers need to be bought and placed around the room. Even cheap Blu-ray players can have connection ports for extra external memory. Sometimes the extra memory is required to access BD-Live, but it also allows the system to play digital files such as photos, music, or videos that are stored on USB or memory cards. Some Blu-ray systems also have a slideshow feature to browse through photos. Video Streaming is a very popular feature for cinema enthusiasts. It allows users to connect to extra movie services online. These services sell movies and TV shows in digital format that can be downloaded to the system and played. Sometimes the movies can only be rented, or watched once, while other times the purchases are recorded onto the user’s service account so that they can access it whenever they want to. This saves space in not having to purchase and store Blu-ray discs. Other services also have monthly memberships where people can get access to a large selection of media at any time. Online memberships can also be accessed on computers, smartphones, and tablets, which can be convenient. It is important for shoppers to know that not all of the digital media being sold through the online accounts is high-definition. They should read the full description before purchasing. In addition to the paid services, users can also connect to free online programs such as video sites. 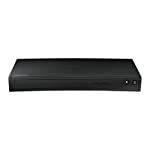 Any Internet-ready Blu-ray player will come with an Ethernet port, which means that the player can be connected to the Internet through the Ethernet cable. The problem with cables is that there may not be a wired connection in the same room as the Blu-ray player, and the extra wire can be a hassle. Because of this, some Blu-ray players can connect to the Internet through a Wi-Fi connection. However, be sure to find out if the player is Wi – Fi capable or if it is wireless-ready. If it is Wi-Fi capable, then the wireless systemis built into the player. If it is wireless-ready, then the player can connect to the Internet only if an external adapter is purchased. In this case, the player has to have a USB port because that is how the adapter is hooked up to the player. Consider the extra costs before deciding which type to get. If the room is wired for the Internet, the Ethernet cable is the most cost effective solution. 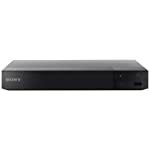 Below are some general things you should have read about at least once before you purchase the best Blu-ray player, since they are pretty much standard nowadays and often not mentioned in the product description. New Blu-ray players are required to have an Internet connection, usually via a wired Ethernet Port, higher quality ones may have WiFi ports too. You preferrably want a “built-in wireless” as opposed to “wireless adapter included” since the adapter is prone to breaking off. This is often specified in Blu-ray player reviews or with a subtle mentioning in the product info. Installing surround sound systems along with your Blu-ray player makes for the feeling responsible for the term “home cinema system“. It’s definitely worth a second thought! If you ever loose your Blu-ray player remote, don’t panic, many new players can be controlled via a smart phone or tablet. Pretty handy. HDMI inputs are only found on high-end Blu-ray players, but are an important consideration for some people. You will need to look closely to see exactly what the Blu-ray player can do with an HDMI input as models vary in this regard. Some offer this input simply as a convenient way to display content from a smart phone or video camera on your TV. Other units, like the Oppo BD-P105, can actually convert 2D signals to 3D so you can enjoy simulated 3D content on your TV or projector (the TV still needs to support 3D in this situation). On the newest Blu-ray players, HDMI is the only output through which you can pass high-definition video, so don’t forget to purchase an HDMI cable (many Blu-ray manufacturers no longer include analog video connections at all). If you want to buy a Blu-ray player from an online shop like Amazon, it is worthwhile to wait until a newer model gets released. This way, the previous (and sometimes just as good) models will likely be really good offers during an eventual Blu-ray player sale, not rarely reaching half their original price! Ultra HD and 4K represent the next big step up in video resolution, and guarantees for the best Blu-ray movies experience. UltraHD (3840 x 2160) offers four times the resolution of 1080p; other 4K resolutions go even higher. 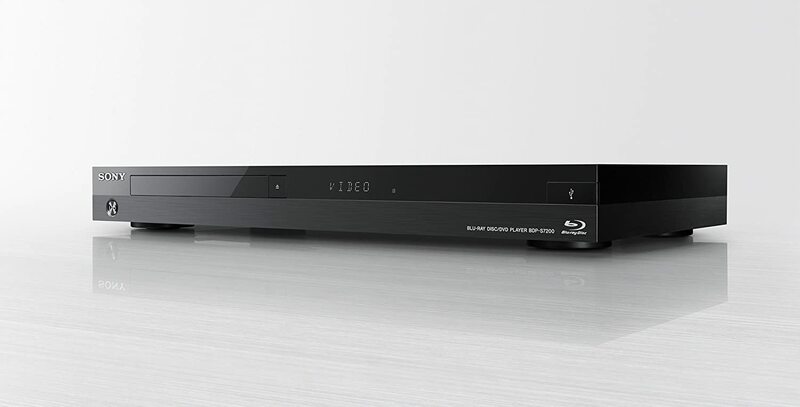 There’s currently no mass-market UltraHD/4K disc format, but a few 4K Blu-ray players, like the Sony BDP-S6500 Blu-ray Player do include UltraHD/4K upscaling to upconvert Blu-ray discs and DVDs to a higher resolution. This feature is currently found guilty of enthusiastic feedback in most of the online Blu-ray player reviews. You only need this 4K Upscaling Blu-ray player feature if you have bought or plan to buy one of the new UltraHD displays on the market, and even then the TV will do the upscaling if your player does not. Who produces the best Blu-ray dvd players? Out of this list of course, there are names you will encounter more, like Sony or LG, and some less known ones, for example Marantz, whose product features generally target audiophiles. The Playstation 4 is a gaming console that is able to read Blu-ray discs. So for everyone with a knack not only for good movies, but also for some quality time playing PS4 games, as Blu-ray player reviews emphasise, that’s your best buy right here! If you’d like to watch the latest Blu-ray releases but don’t want to buy a Blu-ray DVD player, just watch them on computer via the PC / Mac monitor! Next to the required Blu-ray disc drive, you’ll only need the suitable Blu- ray player-software. Free Blu-ray player software for Mac and Windows is among others offered by Laewo and Macgo. Other free software includes the AunPlayer and the 4Videosoft Blu-ray player. If you’re looking to buy one of the top-rated non-free ones, PowerDVD and WinDVD have been receiving positive feedback from users over the past years. Regarding software, remember to read through the software description and user-comments yourself before making a final decision, since the system- and / or Operating System requirements might not be fitting!